Vacation can be a dangerous financial proposition, even for the most dedicated budget savvy family. One might be diligent in planning out their spending in day to day life, but going into vacation mode can lower a person’s guard. It’s easy to justify not wanting to put in the effort, to just want to relax, not worry about money, and believe everything is going to OK. This kind of lapse in financial judgment is exactly what I’m hoping to avoid. My family and I are headed out on a cross country road trip to Florida later this week. We’ll travel for a few days and spend a week in sunny Florida before heading back home. As one might imagine, this family vacation will cost a significant amount of money. We have a trip budget, with even a bit of a slush fund for extras. 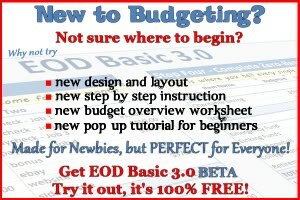 But in order for our budget to work we have to stick to the spending plan, which is why we’ll be using the envelope method to help us keep our trip budget on track. Days 4 through 9 are the days we’ll be actually in Florida. We’ve budgeted a base amount of money for each day, so we have 6 envelopes marked “Fun.” We also have an envelope labeled “Fun XL.” One of the days we’re planning to hit an outdoor mall area that also has boat tours, jet skis and other activities. We don’t know what day we’re going to decide to go there, but when we figure that out we’ll add the Fun XL envelope to that day’s spending money. 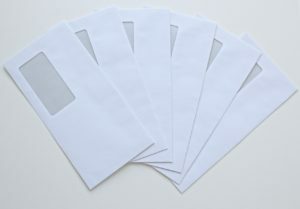 We also have two additional envelopes. One is for a mid-week secondary trip to the grocery store, the other to contain our extra cash in case some is needed. We will be paying for our hotels with a credit card for convenience, even though I despise the hotel industry’s viewpoint on credit cards and damage holds. Hotel stays are an expense that is more or less set in stone (after researching to find the best deal, of course). We don’t have to keep ourselves from overspending as once we made the reservation the price is what it is. We believe we have budgeted our spending generously just to make sure we don’t find ourselves constantly worrying about running out of cash. Should we not spend all the money in a day’s allocation, the money left over goes into the Slush envelope. Should we need some additional cash, it will likewise come out of the Slush envelope. The one downfall here is the sheer amount of cash on hand during the vacation. We’ll have to be mindful of where we store our envelopes and pull our cash our discretely to avoid theft, or just losing an envelope. I love the envelope method, because it puts physical cash into my wallet. With each purchase I can see exactly how much money I have left, encouraging us to really think about our expenditures and getting the most for our money. Using the envelope method for our vacation spending gives us the best chance of staying on budget while having a great time. How about your, EOD Nation, how do you handle your finances while on vacation? Have you ever used the envelope method to help keep your vacation spending on track? I use a combination of debit card from my credit union account and cash when I travel. The cash I use for food and the card for gas as I don’t like to be tempted to buy snacks in gas station. The credit union account is where I save for my vacations. I deposit a certain amount of money, and then use that exclusively.